Heute morgen angefangen...jetzt fertiggestellt: meine schön bunte Karte für Sketch Saturday. 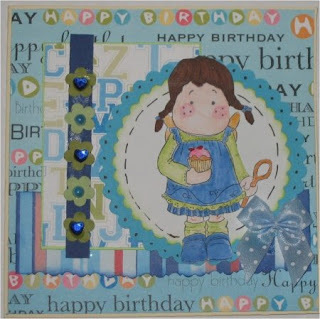 This morning I started this card and just now I have finishes it...my real colorful card for Sktech Saturday. beautiful card and I have to agree it's very colourful. Thanks for joining in with the SketchSaturday Challenge this week.